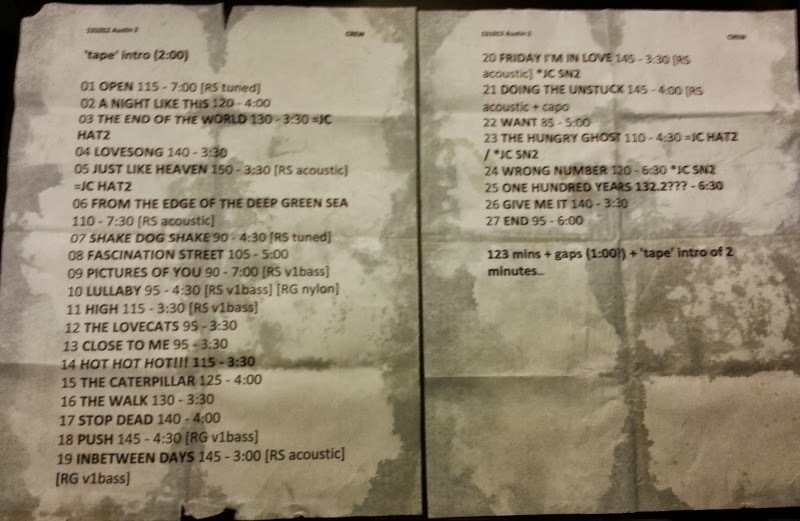 Photo of the soggy setlist from The Cure's set at Austin City Limits on Oct. 12th, 2013. Note that 'Shake Dog Shake' was listed but not played. 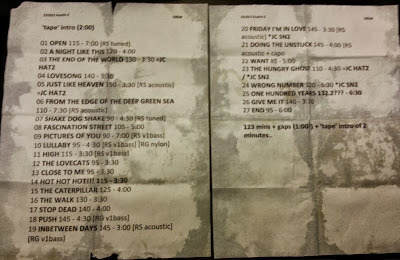 And 'Boys Don't Cry' was added at the end.